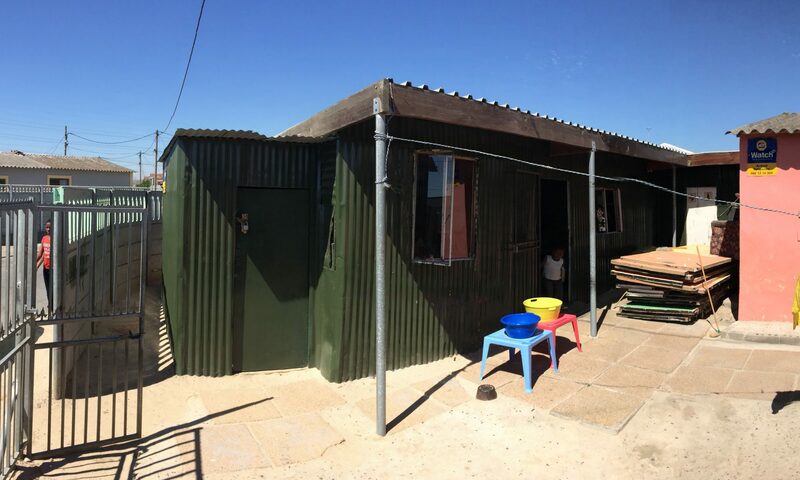 Masizakhe Community Pre-School, in Site B, Khayelitsha, was started in 1986 by Doreen Bophe in her one‐bedroom home, when she saw a need for the pre‐school children in her neighbourhood to be looked after and educated. In 1987 she moved house, moving the school with her, and the school remains at this address today. The school started with around 30 children being looked after by Doreen. Over the years, it has grown to between 150 and 200 children and 11 teachers and carers. The school also has volunteers that work as part of learnerships or part of community volunteering. The school serves as a place of safety for older children, a place for them to do their homework after school, or a place for them to hang out (and help out) while they wait for their parents to get home from work. On Sunday the school building serves as a church hall and community centre. You can donate to Masizakhe in many ways, once-off or monthly. Please take a look at the different options on our Donations page. We will be putting details of the teachers and carers at Masizakhe on this page, so that you know a little something about the people who work so hard at the school.